Volunteering. You may have done your fair share of it when you were putting together your college application (got to get in those extra-curriculars). You may have done volunteer work with a religious or community group, or your parents may have drug you along as a kid. Whenever you may have done it – you aren’t alone. In 2013 just over 25% of Americans volunteered their time – adding up to almost 7.7 billion hours. If we were to try to convert that time into its monetary equivalent, that would be roughly $162 billion dollars. Although some of those people were just trying to pad their resumé, there are lots of great reasons to volunteer besides it looking good on paper. Now, as a company concerned with helping students succeed, volunteering may not seem like an obvious way to become a better student. But, taking some time to volunteer during your summer break can bring big benefits for yourself and others. First, volunteering can help you put the skills you’re learning in class into practice in the real world. If you’re in the middle of a nursing program, getting some hours in at a local hospital or medical center can not only give you some extra insight, but it can help you make connections and open doors after you graduate. If you’re studying business, taking some time to work in the office of a local non-profit can help you see how the economic theories you’ve been studying, really impact organizations and people in “the real world.” And, even if you’re in an Underwater Basket Weaving program, volunteering to teach kids to make the best underwater baskets possible can help you better understand the intricacies of aquatic textile-ology. Next, volunteering can help you keep a grasp on what’s important to you. It’s easy to get lost in the weeds between exams, homework, and study groups. By the time you get deep into your field in school, you may have a hard time remembering why you got into it in the first place. Stepping back from the academy and getting your hands dirty can help you regain that inspiration and drive to get through your school work. Sure, memorizing long lists of terms and complex mathematical formulas may be a part of your education, but it can also drain the soul. There are few things as life giving and fulfilling as taking some time to learn someone’s story and give them a helping hand. Last, volunteering gives you the chance to get your toes wet with all sorts of businesses, communities, and career paths. A big part of your success as a student is being able to find subjects and ideas that you find interesting and worth your time to study. If you aren’t sure what you want to do when you get out of school, volunteering can be a great way to find a fulfilling activity while also experiencing many different career options. 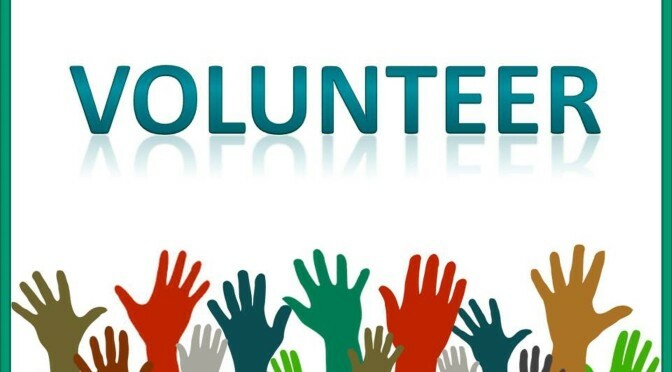 On the other hand, if you already know what you are going to be doing when you’re done with school, then volunteering may give you the opportunity to make some connections in your field and start looking at how your education will be useful after you’ve graduated. So, if you’re looking for a way to dig into your summer break, to gain some experience in your field, or to figure out if you really enjoy what you might study – take some time out and volunteer. It’s a win-win-win opportunity for yourself, for your community, and for the people you’ll be helping. If you need a little help getting started, here are a few online resources you can use to find volunteering opportunities near you.